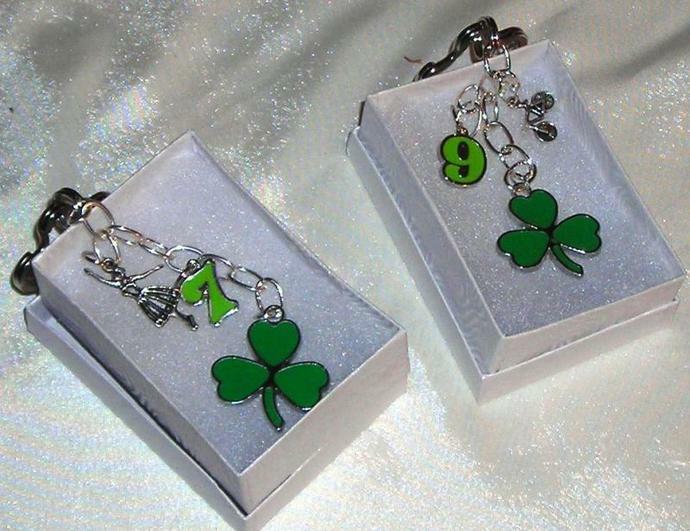 Shamrock Three Leaf Clover Enamel Key Ring Charm. The clover leaf looks like JOINED TOGETHER. Wouldn't you like to be in Ireland right now! Imagine you are in Ireland, you can with this gem at your side. IRELAND emerald Isle. 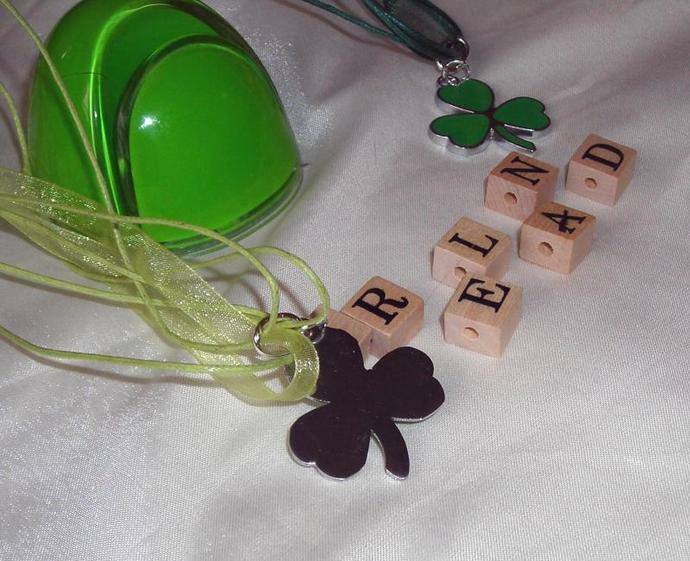 Irish gifts. The daisy ring adds fun to this key ring, this is heavy duty for durability and wear. Suspended on 2 inches of chunky sterling silver chain link. 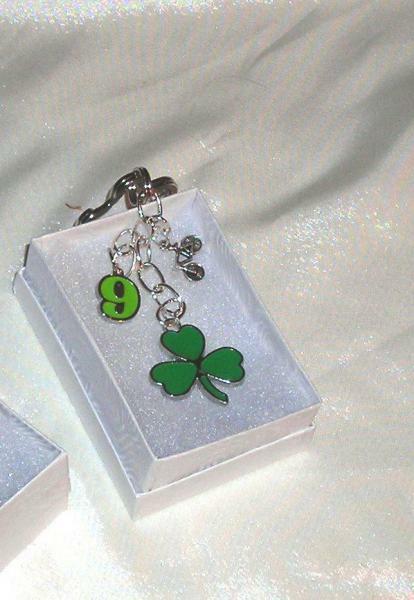 Balancing this out on either side are two charms: On the right is a lime green #9. On the right is a bicycle. Perfect for either boy or girl or older person that loves fun. All nickel free. You may of course choose the clover leaf by it's own without charms. This can be applied to back packs, over night bags or anything you desire!!! I also have a similar key chain for a girl or woman. May you received an Irish Blessing!